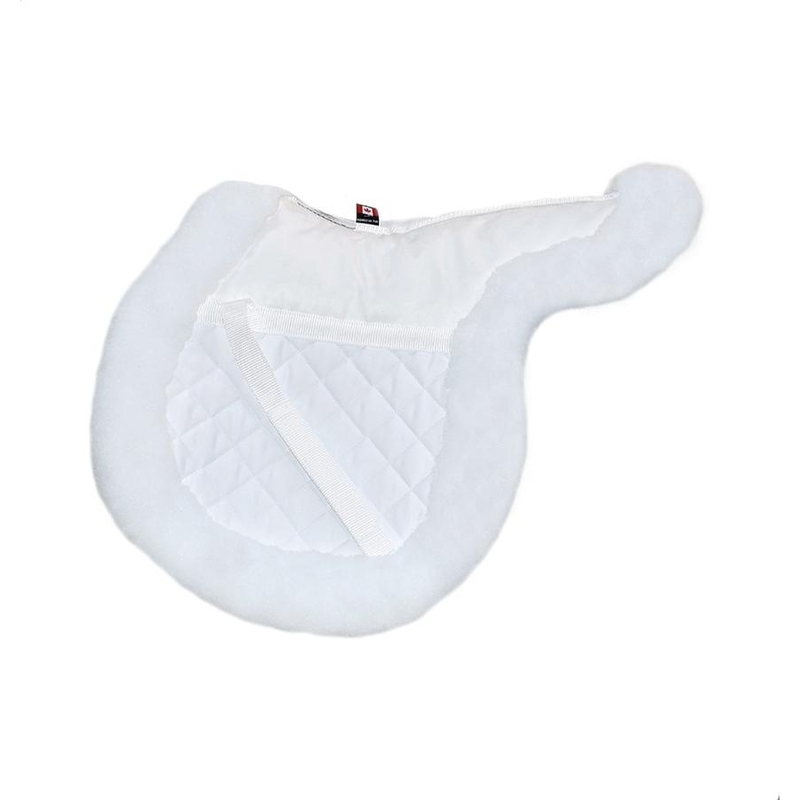 The Ogilvy Hunter Memory Foam Half Pad is perfectly shaped to provide a clean, nice contour to your hunter saddle. The best solution on the market to avoid any back rubbing or friction. A perfect combination of our anti-friction saddle pad and our memory foam half pad. For the rider who is looking for the technology of the Ogilvy Horse Half Pad and nothing less than the comfort and the protection of the Original Ogilvy Friction Free Pad™ … in one master piece. 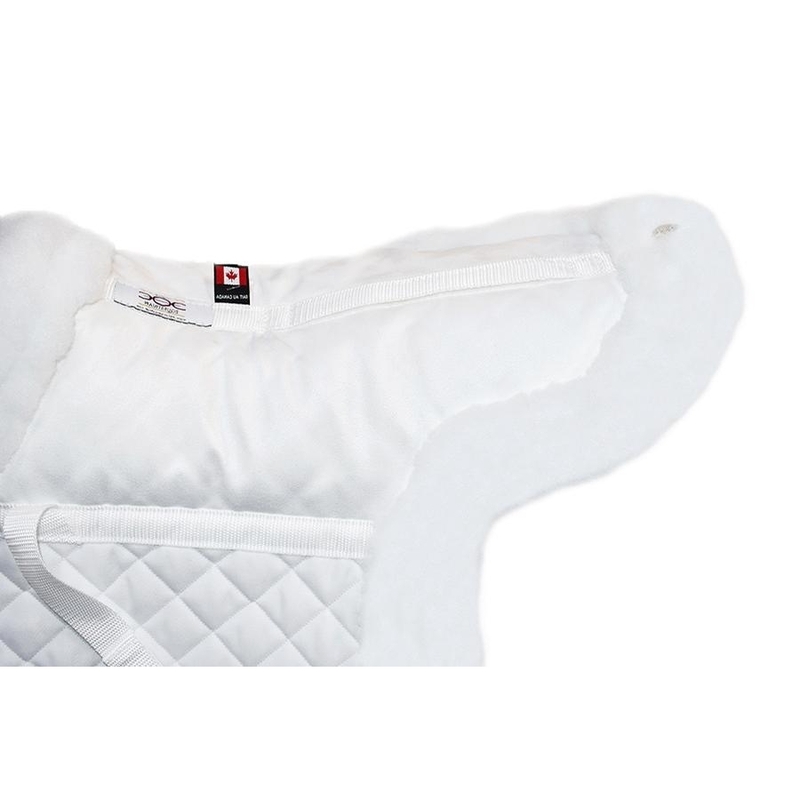 This memory foam acts as a buffer that fills any voids between the saddle and the horse, stabilizing the saddle, and provides shock absorption for the backs of both horse and rider. This allows your saddle to fit perfectly on any horse, as the memory foam gets very thin where there are pressure points or where the saddle gets closer to the horse. The sheep skin hunter pad is garnished with the best quality of natural white Merino wool not bleached to insure more durability.